As flag enthusiasts here at Gettysburg Flag Works, we know that sometimes flying a flag in your front yard or out in front of your business just isn't enough. There are so many other opportunities to show your pride by flying a flag, and we've got all the flagpoles you need to do so! Looking to attach a flag to your vehicle? Gettysburg Flag Works offers a flagpole bracket for attaching a flag to your car window. This is a plastic staff attached to a plastic bracket which clips to the top of your car window. Simply roll up the window and your flag is secure. Check out these car window flagpole brackets here. If you are taking your vehicle in a parade, you probably don't want your windows rolled up. For parade speeds we offer a fender flag pole. It can clamp on or attach with a magnet to either the front or back of your vehicle for the procession. Don't forget to pick up some parade sashes to complete the look! Looking for a big flagpole for tailgating or camping? Our tailgater fiberglass flagpole is the perfect solution. 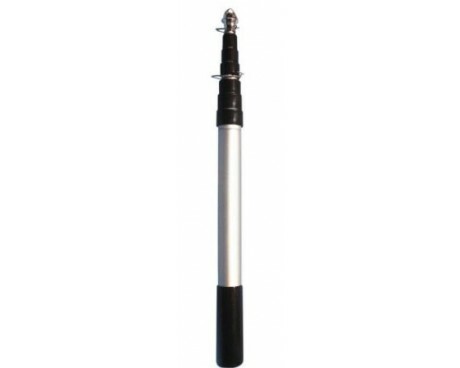 This flag pole can be used with a hitch mount, tire mount, RV bracket or even on your boat dock. It folds down for easy storage and transport and includes hardware to fly one or two flags at a time. Motorcycle flags are attached to the bike using a bracket and staff. Ours motorcycle flagpoles are all aluminum which is very durable and won't rust. They attach behind the license plate and will work with most motorcycle models. Also check out our hide-a-pole for a collapsable solution. This pole collapses down to fit into your saddlebag for use at Patriot Guard events and other patriotic gatherings. Bike flagpoles are great for safety, advertising, and fun! 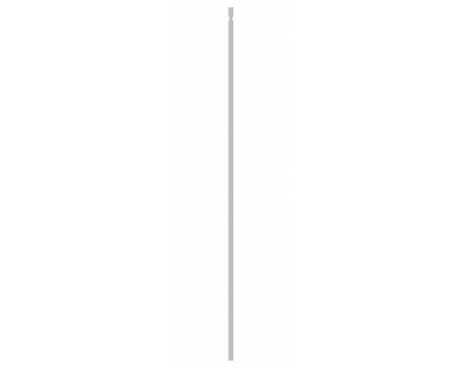 Our bike flag pole is a 6' tall fiberglass rod, called a whiprod, which flexes in the wind, creating a dramatic display. Check out our whiprod bike flagpole here, then shop bike flags to display on your bicycle flagpole! Attach a flag to your boat with our chrome and aluminum boat flag bracket. 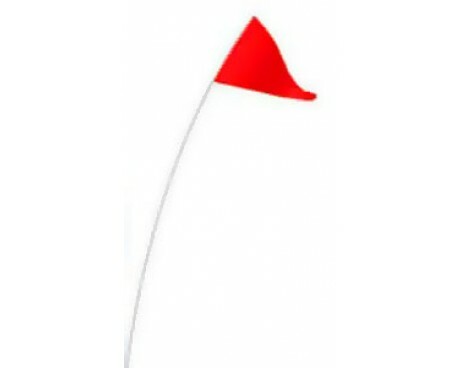 It easily displays a boat flag up to 16x24" with grommets. Need a cool new boat flag to fly on your boat flagpole? We've got you covered! From boat and fishing flags to customized boat flags, we can help you find - or create - what you're looking for! Order the Flagpole You Need Today! We're proud to offer a wide variety of flagpole options to help our customers show their pride on bikes, cars, motorcycles, boats and more! If you're in need of a flagpole for one of these vehicles, browse our selection today! 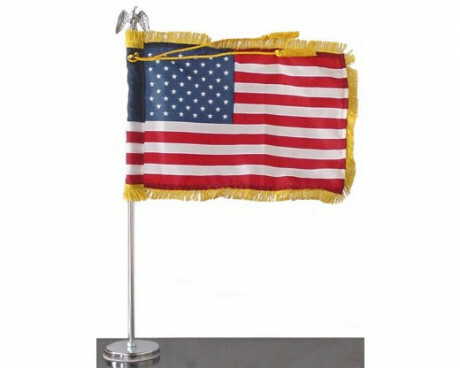 Looking for a more traditional flagpole?We carry those too. View our entire collection of flagpoles here. Not sure what you need to display your flag correctly? Give us a call at 1-888-697-3524 or contact us online and we'd be happy to point you in the right direction.